As part of the ESSA-Sport Project (a European Sector Skills Alliance for Sport and Physical Activity) funded under the Erasmus+ programme and coordinated by EOSE, the first ever European Employer Skills Survey for our sector was launched in November 2018. 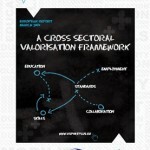 In our attempt to deliver an EU wide Employment and Skills map for the whole sector which is growing and changing, the objective of this innovative survey was to consult employers from the sector to collate information on the labour market, skills needs, gaps and shortages, future tendencies/perspectives, realities and difficulties to recruit staff and volunteers. 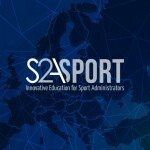 The online consultation, available in 20 languages, ended on 25th of January 2019 and has been extremely successful with more than 3,800 responses collated from sport organisations all over Europe. EOSE and the whole consortium of the project would like to warmly thank all of you who contributed to make the survey such a success. The data will now be analysed and used to produce a European strategic action plan with concrete priorities and recommendations to be implemented at national and EU level to help ensure education, training and qualifications are geared towards the realities of the sector. Main findings and results will be published later this year.